The web is an ever-evolving, ever-growing entity. While the concept of the internet itself has been around for decades, the actual language used to create it was not developed until 1990, by a man named Tim Berners-Lee. He designed the HTML and HTTP protocols that now make up the very nuts and bolts of the web we know and love. But Tim Berners-Lee had a greater vision for the internet – one that would integrate it into our lives almost seamlessly. He called it the ‘Semantic Web’. We’ve taken baby steps over the years, but with the advent of HTML5, we’re now closer than ever before to releasing Tim’s vision of the Semantic Web. Let’s find out why. The core concept of the Semantic Web revolves around the idea that the machines running the web should actively be able to understand user input based on meaning, rather than purely on what they enter. Berners-Lee described it as a “web [in which computers] become capable of analyzing all the data on the Web – the content, links, and transactions between people and computers.” This analytical understanding would minimise effort on the part of the user, and would make using the web a much more fluid, simple and efficient process. The limitations of the current web mean that if you were searching for a pair of black size 8 sandals, you could only really ‘drill down’ that data using advanced search techniques. The Semantic Web would answer your query in the space of one search. While HTML5 is still not a fully released Semantic Web as Tim Berners-Lee imagined it, it’s much closer than the current system. The reason for this is that HTML5 has a built-in tagging system that allows coders to apply complex attributes to code to enable more complex usage. For example, HTML5 features tags such as, which can be used to indicate where the body copy of an article starts. In addition to this, the tag can be used to specify contact information for the author of that article. To go one step further, HTML5 allows us to add a tag to indicate publish time and date. What does all this mean in terms of semantics? Well, let’s imagine you want to search for articles by a certain author, published between a certain date. At present, you’d need to use some advanced search engine techniques and multiple steps to find what you need. With HTML5, you could compress your search into one line ‘articles by x published between x and x’. If HTML5 tags are applied properly, you’ll get your answer immediately. That’s the spirit of the Semantic Web. The search for the Semantic Web becomes even more relevant when we discuss the internet on mobile. Now that smartphones are in everyone’s pockets and tablets are becoming the norm, making the web more intelligent and efficient has become a priority. Luckily, HTML5 is well prepared for this change. The language is equipped with a number of key features that make using the web easy over a mobile connection. Examples include CSS3 support, geolocation APIs, offline web storage, canvas drawing, and much more. Pages viewed over mobile internet connections can also use the full attributes list offered by HTML5. For mobile users, these advancements mean that, for example, you could search for tweets sent within 10 miles of your location – all within just one search. In fact, HTML5 is so suited to mobile, that many developers are considering using it as their development language rather than the native one. So what’s the bottom line here? 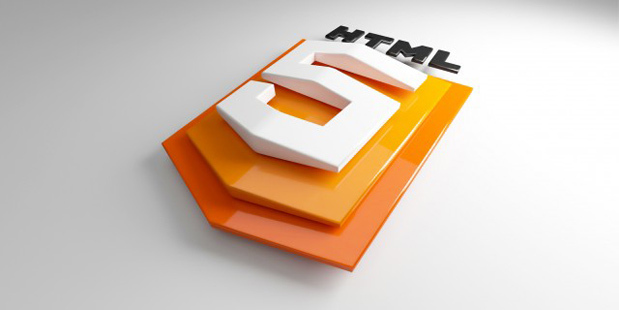 Is HTML5 the start of the Semantic Web? The answer is, for the time being, unclear – but it’s definitely the first step. Developers are already proving that the web can work much more smartly and efficiently than it does right now. Breaking the shackles of previous iterations of HTML has given developers the ability to make the web much smarter, but it’s still in its infancy. Of course, though, that makes the prospect of where the web could be in ten or twenty years very exciting indeed.